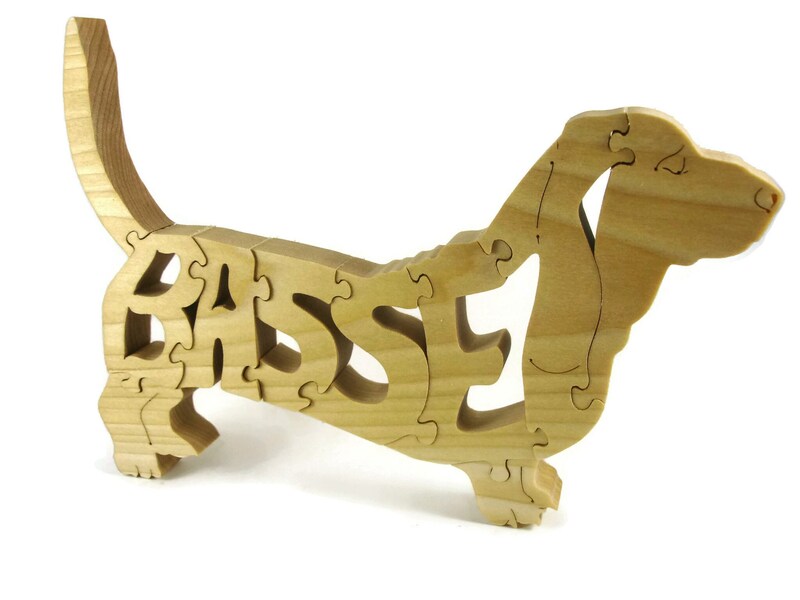 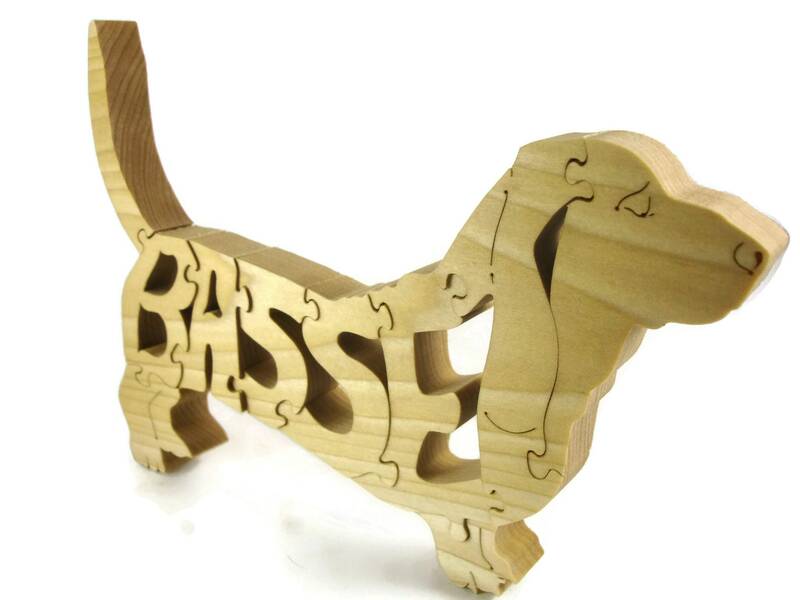 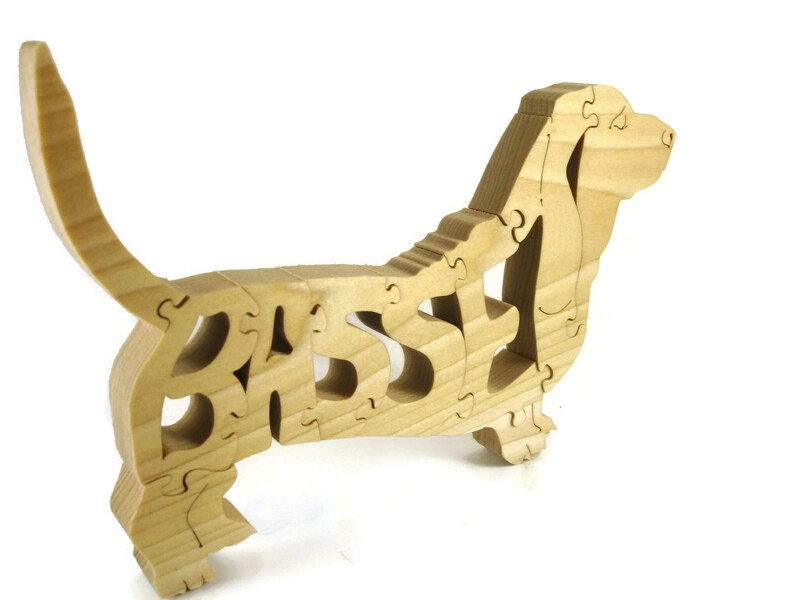 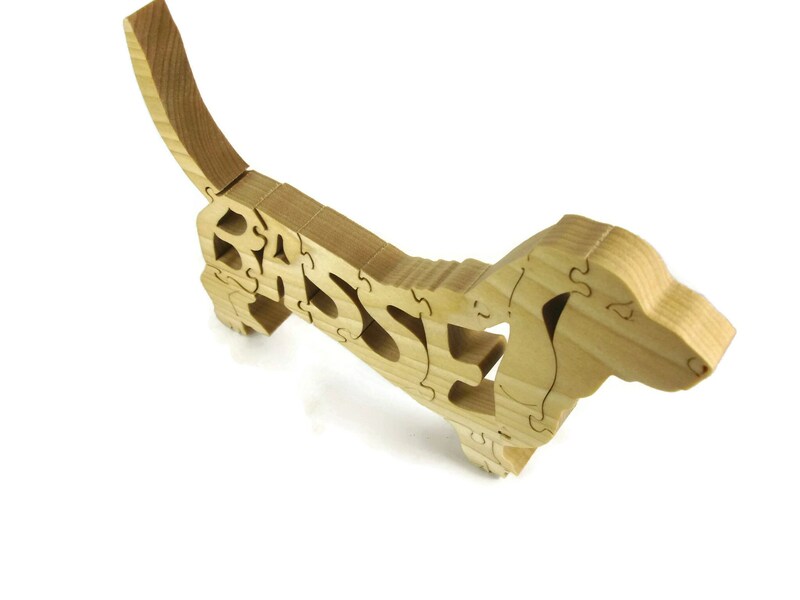 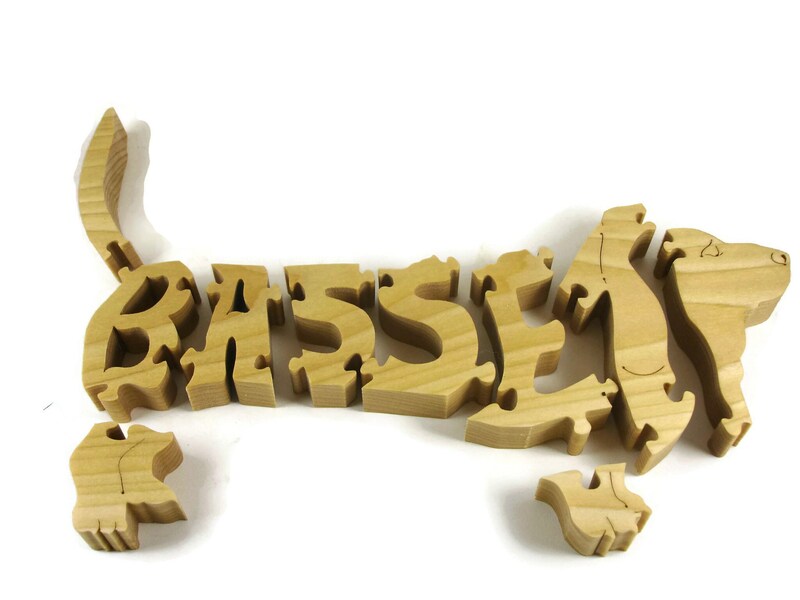 This Basset jigsaw puzzle was cut by hand from 3/4 inch Poplar hardwood using a scroll saw. 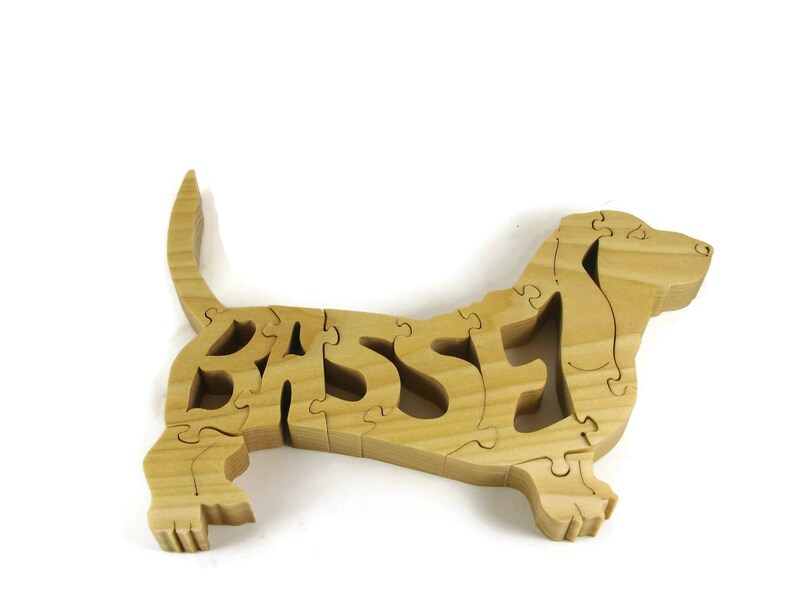 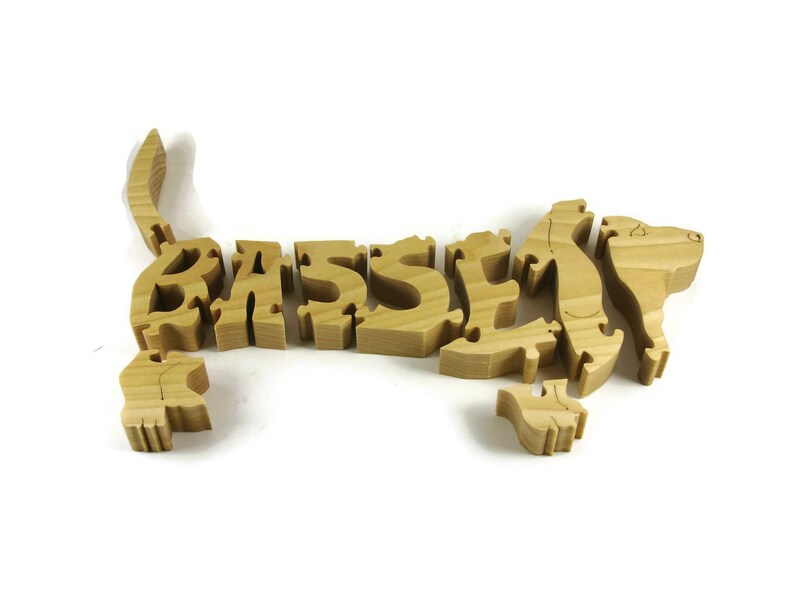 This 10 piece puzzle features a Basset silhouette with the word Basset cut out as the puzzle pieces. 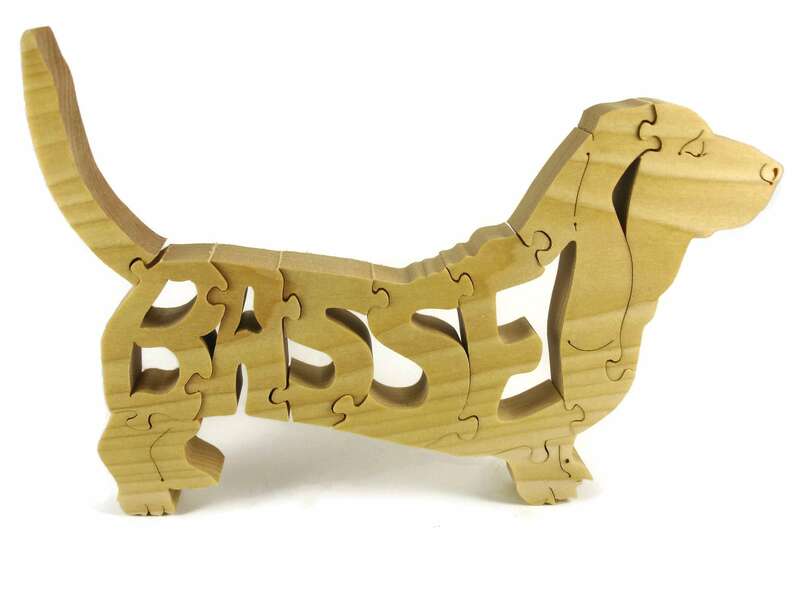 My jigsaw puzzles are all finished with all natural non toxic mineral oil for safe handling and playing.. 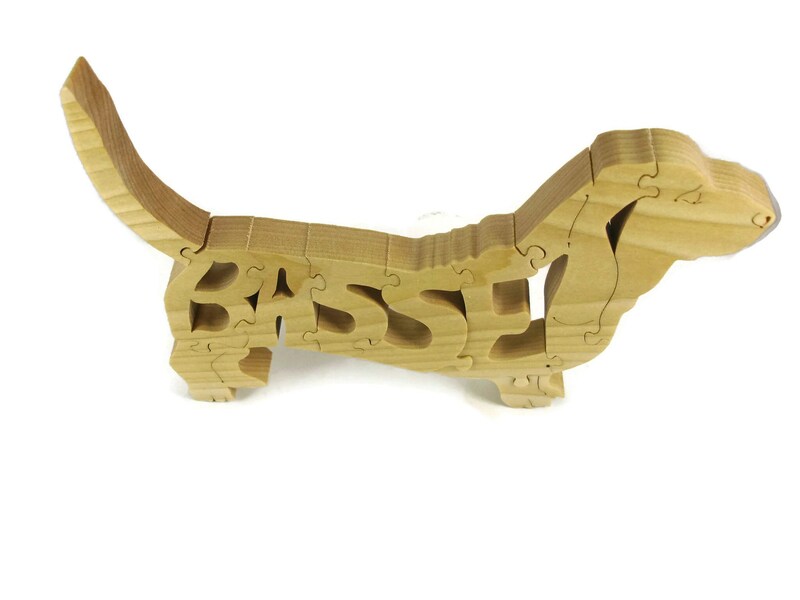 Mineral oil is widely used in preserving wood food utensils and salad bowls and cutting boards etc..
***WARNING*** CHOKING HAZARD The puzzles are NOT suited for small children.. 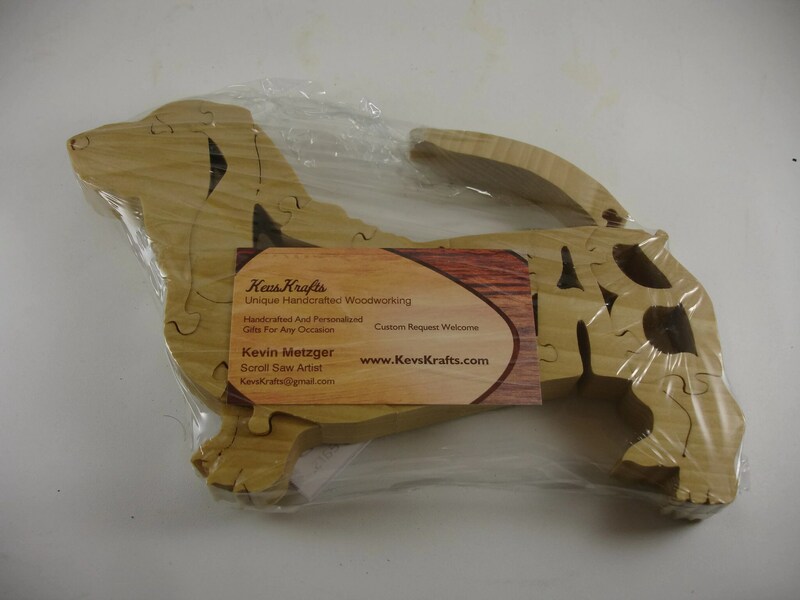 These come sealed as shown in last photo.